The project involves 5 Operative Units with extensive previous experiences related to the theme addressed by the INTEGRA project. 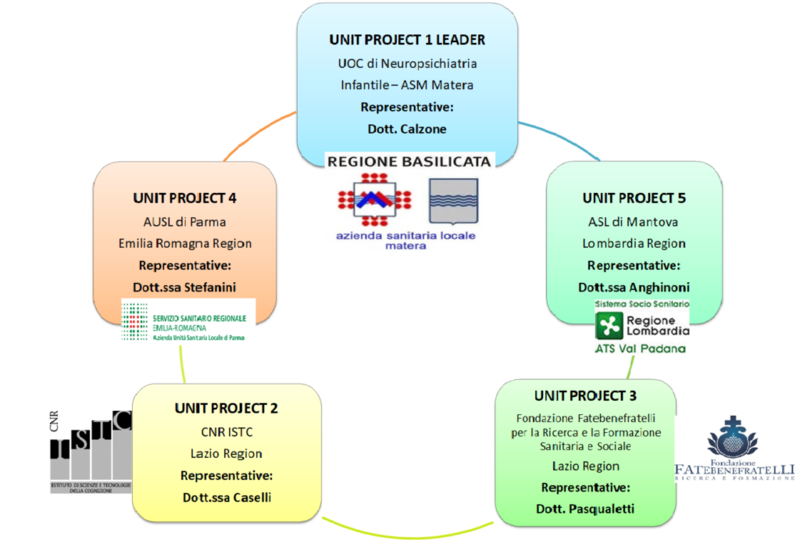 THE OPERATIVE UNIT 1 (LEADER) is the Operative Unit of Child Neuropsychiatry of the ASM of Matera – Basilicata Region. This unit has a consolidated experience in the quality of hospital service and territorial ASL of Matera but also through the holding of seminars, conferences and training courses for socio-health and psycho-pedagogical staff on language disorders and all the diseases related to neurodevelopment. Furthermore, epidemiological and statistical research and studies have been carried out, the results of which have been published and / or used to improve the quality of local services. OPERATIVE UNIT 2 is the CNR ISTC – Lazio Region. This unit deals with the study of communication and language development processes in children with typical development and with different pathologies (specific language disorders, deafness, mental retardation on a genetic basis) in a neuropsychological perspective. 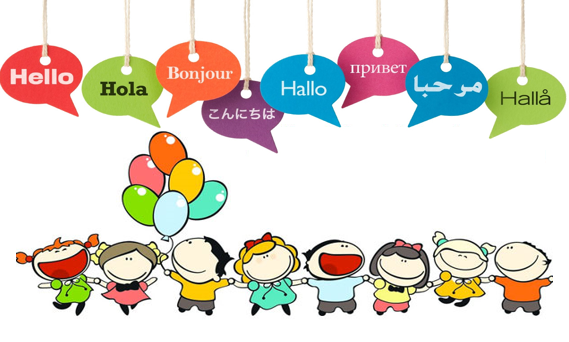 Study of early risk indicators for a correct development of language and development of tools and protocols for evaluation and intervention in communicative and linguistic disorders. He is the contact person for Italy of MacArthur Communicative Development Inventories (known in Italy as “The First Vocabulary of the Child” – Caselli and Casadio, 1995; Caselli, Pasqualetti and Stefanini, 2007; Caselli, Bello, Rinaldi, Stefanini e Pasqualetti, 2015). OPERATIVE UNIT 3 is the Fatebenefratelli Foundation for Research and Health and Social Training – Research Division – Lazio Region. This unit has a prolonged experience in the field of statistical and epidemiological research, in particular concerning neurodevelopmental pathologies. OPERATIVE UNIT 4 is the AUSL of Parma – Emilia Romangna Region. The Operative Unit of Child and Adolescent Neuropsychiatry represents a point of reference in the territory regarding the diagnosis, rehabilitation (above all of children with disorders related to neurodevelopment) and the social integration of minors, in particular of children and teenagers with foreign origins. OPERATIVE UNIT 5 is the ASL of Mantova – Lombardy Region. The ASL of Mantova presents services aimed at minors (also of foreign origin) with language difficulties and more generally neurodevelopment. In particular, it boasts services concerning the protection of health in living environments.